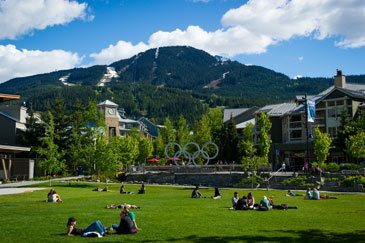 Whistler Village is divided into three distinct areas: The Village, Village North and Upper Village, which are all connected by the paved, pedestrian-only Village Stroll walkway. Our hotel is conveniently located on the eastern edge of Village North, providing easy access to the entire Village area. You will find first-rate ski and snowboard rentals at our onsite Affinity Rentals shop and easy access to The Stroll to catch the Whistler/Blackcomb Gondola, Whistler Heli-skiing, or Powder Mountain for your Heliskiing or Catskiing adventure. 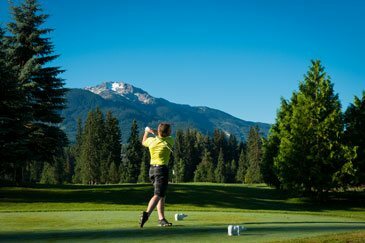 Our hotel is about a five-minute walk from the Tourism Whistler office and close to the Sea to Sky Highway. The pedestrian-only Village Stroll meanders through the heart of Whistler Village, lined with boutique shops, world-class restaurants and funky bars. 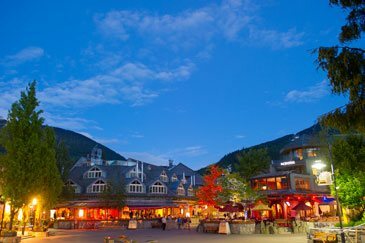 A magical place in every season, Whistler Village is truly alive with entertaining great shopping, fresh markets, street performances and al fresco dining. 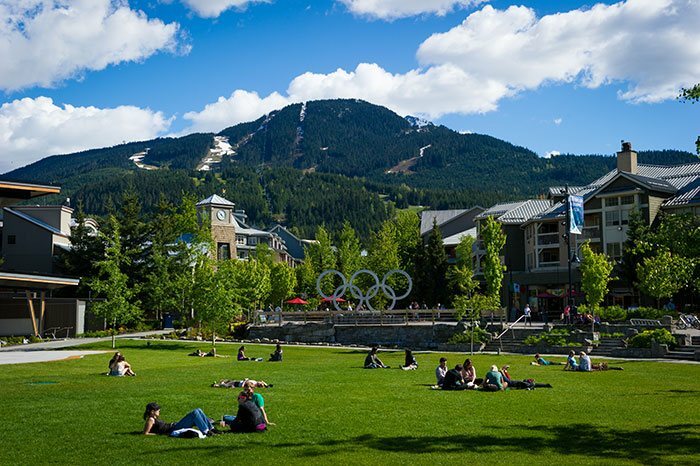 Put the car in park and forget about it - as our guest, you are right in the heart of trendy Whistler Village with easy access to, well, everything! Stand with the Olympians - or at least where they stood when they received their medals here at the 2010 Olympic Winter Games. The Olympic Plaza is now a state-of-the-art outdoor performance arena set against the dramatic mountain backdrop. 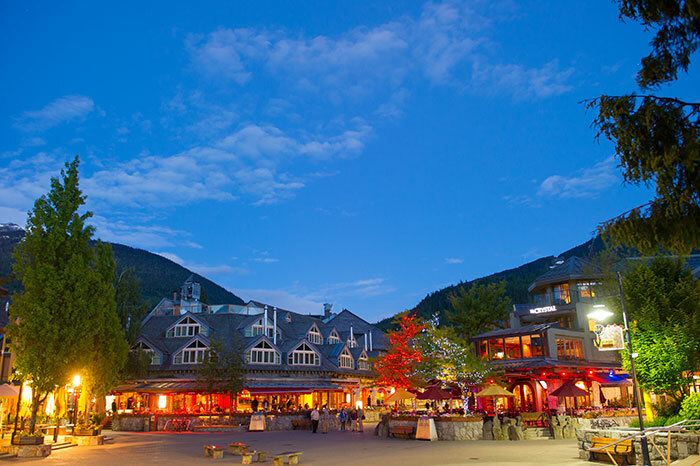 Located in the middle of Whistler Village, the Plaza is host to amazing musical and cultural festivals/events during the warm seasons, and transformed into a magical ice skating rink during the winter months. 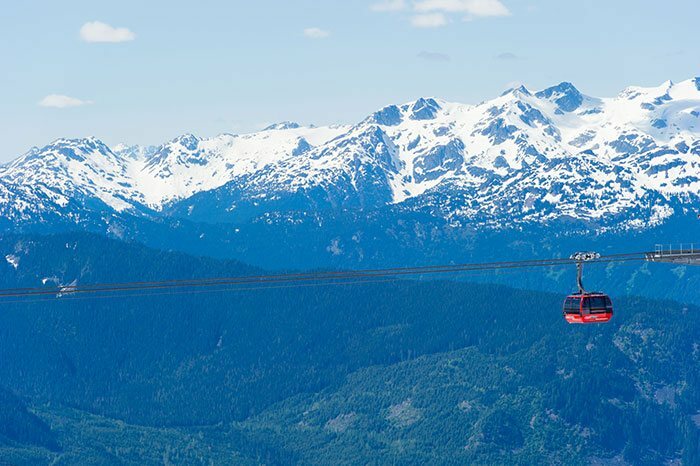 The PEAK 2 PEAK Gondola is the world’s longest of its kind and links the peaks of Whistler and Blackcomb Mountains. 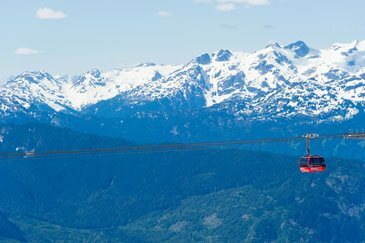 Take in 360-degree views of Canada’s most pristine landscape, featuring mountain peaks, lakes, glaciers and temperate forest from a glass-bottom gondola. 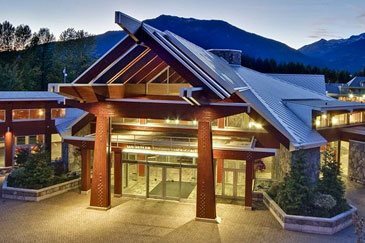 The Whistler Conference Centre is a quick five-minute walk from our hotel and features a gorgeous mountain-lodge design with a stunning stone fireplace and impressive wood beam construction. The Conference Centre provides tasty catered meals and event planning services to help you put together a smashing event. The design and architecture alone is worth a visit. 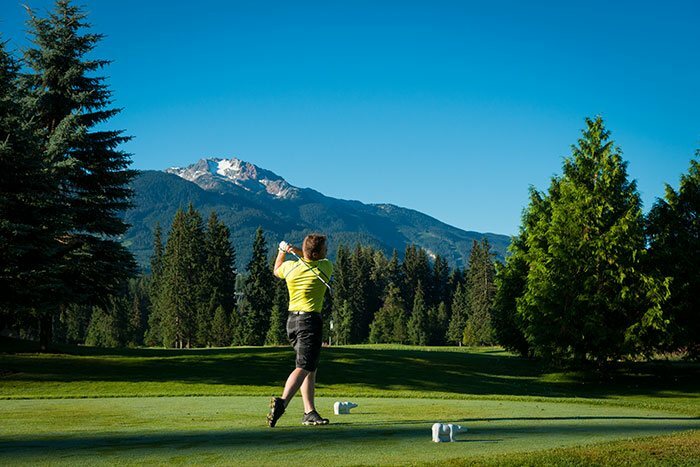 Arnold Palmer’s first Canadian design, the Whistler Golf Club is a spectacular and challenging course with gorgeous views of the forested areas and snow-capped mountains that make Whistler an international destination. Even if you’re not a golfer, enjoy a fabulous meal at Palmer’s Gallery Bar & Grill less than a 10-minute walk from the hotel. 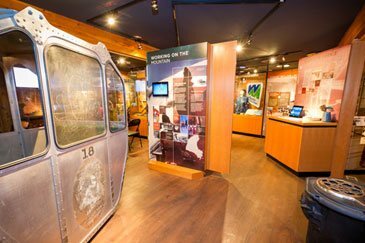 Curious about Whistler’s evolution from a tiny pioneer town to the international snow and summer sport destination? 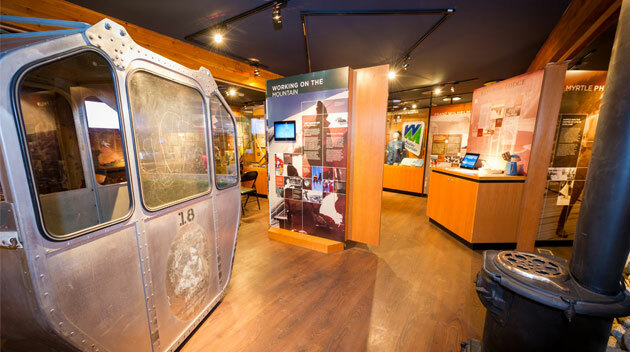 Check out the Whistler Museum, steps from the hotel, for interactive displays, tons of fun things for the kids, a real Olympic torch and interesting facts about Whistler’s most famous animal resident: The Black Bear. Exploring the Village on foot is a great place to start, but if you are looking for a few insider tips on awesome things to do on the mountain, we have a few suggestions. Our staff is very friendly and knowledgeable about the area, and can provide great information as well. the adjoining restaurants, Quattro and Alta Bistro, often host great events. Check out the exciting things happening around the hotel during your stay with our events calendar. Put the car in park and forget about it - as our guest, you are right in the heart of trendy Whistler Village with easy access to, well, everything!.